Despite the drought this summer, Northampton Borough Council’s green spaces are looking excellent, due to a unique contract between two major facilities management companies – Veolia and idverde – plus a little help from a Ventrac 4500 compact tractor with ToughCut mowing deck. 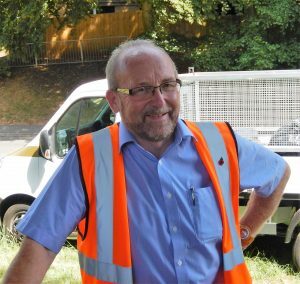 Operator Steve Glover, who began his career with the council and has been employed by various contract management companies, has maintained the Borough’s green spaces for over 32 years. “This is the best machine that I have operated over the last 32 years,” he said. “Although I spend a lot of time on banks and slopes, I feel extremely safe. Its wide footprint, eight tyres and low centre of gravity make it incredibly stable and the articulated frame makes it highly manoeuvrable.